MILLBURY, Mass.-- The wife of a Millbury, Massachusetts police officer is accused of faking a robbery and vandalizing the couple’s own home, CBS Boston reports. Police say on October 17 Maria Daly reported a burglary at the family home, saying jewelry and money had been stolen. 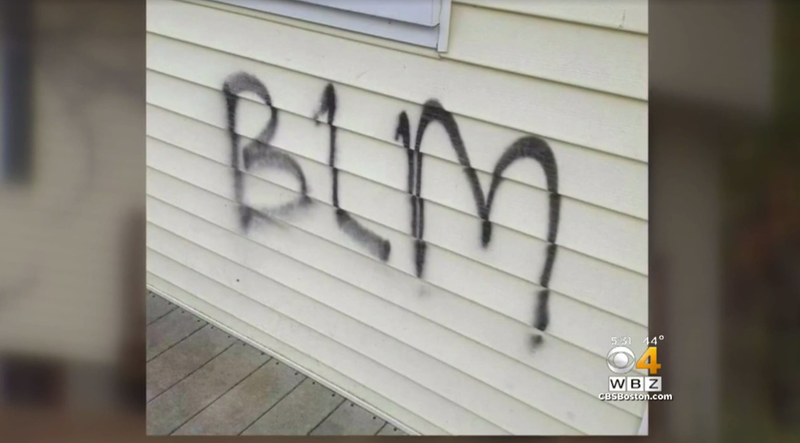 She also reportedly said her house was tagged with graffiti that appeared to reference the Black Lives Matter movement. According to Millbury Police Chief Donald Desorcy, investigators have determined the entire account was false. The chief says Daly’s husband, Officer Daniel Daly, was not involved in the deception and has been exonerated. It’s a story generating a lot of reaction in town. Maria Daly faces charges of filing a false police report and misleading a police investigation.